Stephen W. Bisher, CPA : Condon Hecht Bisher Wade & Company, P.C. 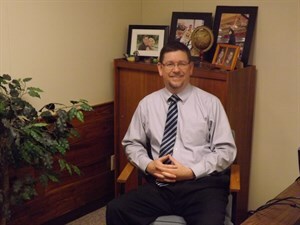 Stephen W. Bisher is a 1994 graduate of Spring Arbor College with a Bachelor of Arts degree in Accounting. He began his public accounting career in 1993 with Rehmann Robson & Co., CPAs, a regional firm in Southern Michigan, as a governmental auditor. In December 1996 he joined the staff of CHBW & Co., P.C. Steve is also the Principal-in-charge of Audit & Accounting for the Firm. He maintains a minimum of 80 hours of continuing professional education bi-annually, specific to governmental auditing, as required to supervise governmental audits. A member of both the American Institute of Certified Public Accountants and the Michigan Association of Certified Public Accountants, Steve maintains a minimum of forty hours annually of State and National CPA Society sponsored seminars in governmental accounting and auditing, nonprofit organizations, agribusiness, and corporate and individual income taxation. Steve is a past member and Treasurer of Hillsdale Kiwanis, past Treasurer of Alpha Omega Women's Care Center and is currently the Vice President Hillsdale CASA Inc.